At GC Law we are no win no fee lawyers. The no win no fee concept allows people who have suffered personal injury access to the justice system, with no upfront costs. Personal injury lawyers are expensive, so without offering a no win no fee legal service, most people couldn’t afford to make a personal injury compensation claim, unless it was on a no win no fee basis. 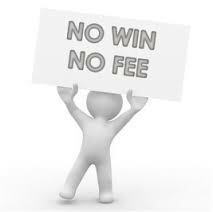 Under the No Win No Fee arrangement you only pay legal costs if you win. Sometimes however, depending on the nature of your injury, the number of parties involved or the amount of compensation at stake, lawyers may charge a “success fee”. A success fee is typically an amount added to the total legal costs at the end of the compensation claim. In Queensland a success fee of up to 25% is permitted. A contingency fee is the name given to the fee that a lawyer will charge at the end of the case calculated as a percentage of the amount of the settlement. Contingency fees for personal injury claims in Australia are illegal. There must be a basis for calculating the lawyers fees, other than as a percentage of the amount recovered, like for example hourly rates or court scales. Is No Win No Fee available in all cases? At GC Law we offer No Win No Fee Cost arrangements in relation to all motor vehicle accident claims, workers compensation claims and public liability claims. • Whether the amount of compensation recoverable in the case makes making the claim worthwhile for you in the first place, after payment of legal costs and expenses. To find out if your case qualifies for a No Win No Fee arrangement, then ask us for a Free Case Review – it’s simple to do. Call us on 1300 302 318 or if you can’t wait and need advice quickly, have a live chat with a GC Law Compensation Lawyer Specialist on our Live Chat Link. At GC Law the answers are just a phone call away.